Hola! My name is Pablo Vidueira. 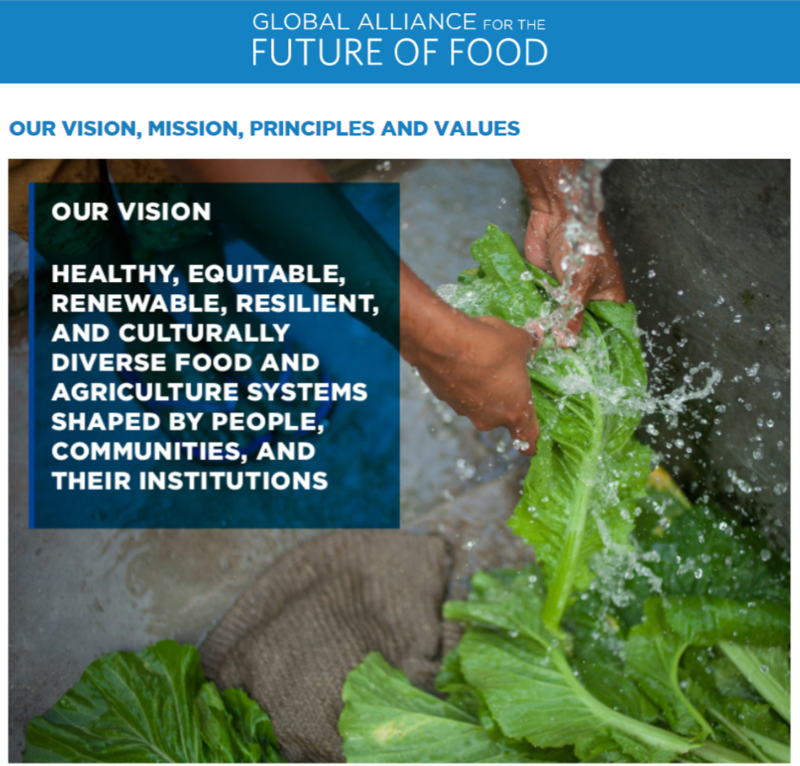 I am an evaluation researcher and consultant working with the Global Alliance for the Future of Food (GA), a collaboration of philanthropic foundations that have come together to strategically push the agenda for more sustainable food systems globally. But how can a group of more than 20 philanthropic foundations, with their different backgrounds, perspectives, priorities and agendas come together and define what to do and how to do it, within such an entangled and multifaceted system as the global food system? Here is where principles come to play. The Alliance members came together around the sense of unsustainability of the current food systems, but the question was how to go about addressing those problems. There is not a roadmap for such and endeavour, so how would you start to define what the GA should be and do? By setting goals? Strategies? Priorities? Projects? 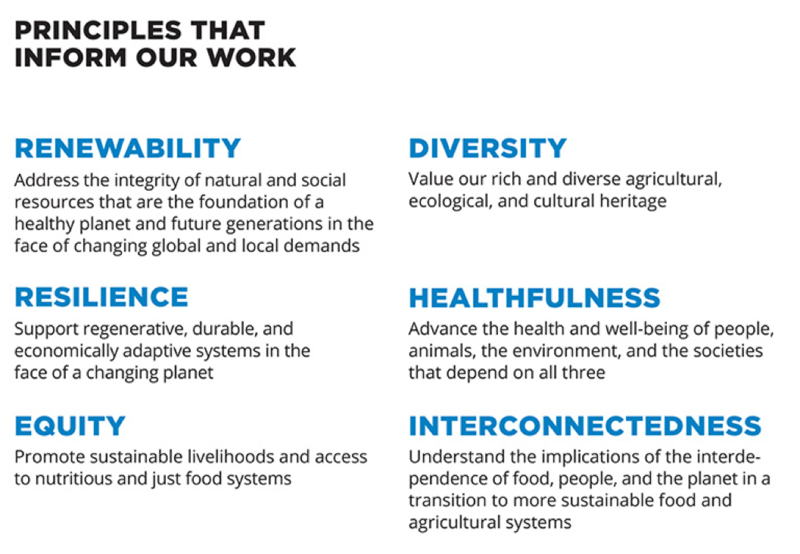 For the Alliance, principles allowed to explicitly define a shared purpose from where strategies, goals, working groups and initiatives emerged. The GA principles are listed below. These are general enough to provide common ground while specific enough to provide shared direction. These are collaboration principles, and they did not conflict with any such statements by the individual foundations. Innovation-related contexts greatly benefit from a shared framework for understanding and action as the GUIDE principles allow to build. The aforementioned principles are greatly internalized by the Alliance and the members. Anyone can clearly explain the principles and their relevance. Principles are used to determine whether an action should be supported by the GA, and in some cases they also allow to reframe the initiative. Anything supported by the Global Alliance needs to address each and every of the GA principles. The following GA website snapshot shows their vision, which is built upon the principles. The Global Alliance adopted a Developmental Evaluation approach to help them evolve and adapt in their aim to leverage food systems towards a greater sustainability. As the principles emerged along this process, the Alliance became increasingly principles-driven, thus M&E at the Alliance needed to adapt and respond by becoming increasingly principles-focused. Thereby, PFE allows to examine the meaningfulness of the principles to the Alliance and their members, the adherence to the principles in the variety of initiatives sponsored by the Alliance, and the results of adhering to the principles. This is now a key pillar of all the Monitoring and Evaluation at the Global Alliance. Chapter 28 of the PFE book further analyses the case of the Global Alliance. The GUIDE framework also provided in the PFE book is a great tool to determine whether principles provide meaningful guidance (G) and are useful (U), inspiring (I), developmentally adaptable (D), and evaluable (E).